We often create images and screenshots for blog posts. The main image can be stored in website or WordPress server itself. But it is not possible to upload all visual contents to the media library as the same will slow down your website. We can upload them to image hosting services, I admit. But the quality and reliability of such a site is very important. 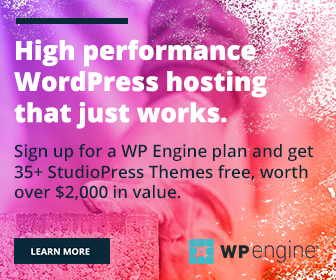 Image hosting sites are like any other sites, the only difference is that they will have huge servers across the locations to store uploaded works. I used a plenty of sites and should say that Flickr-like sites deliver remarkable services to the users. They are easy to use and let us access images in 24 x 7 environment. At the same time, a few image hosting sites die frequently when the server load exceeds their limit. The outage issue will be resolved mostly after a couple of minutes and sometimes hours. During that time, your readers won’t see any post images as they are stored in the dead site. Naturally, your site will get a bad impression from the visitors. I went through similar situations several times. After that, I decided to switch to any prominent service for storing images. Pinterest is my first choice, as it allows us to collect and organize images across the categories in a beautiful layout. The photo-sharing site has over 175 million active users per month and more than 50 million pins as of now. These figures clearly state the site’s value. It has 100% uptime and you can trust them well. Follow these steps for customizing a Pinterest board to save your blog images or private photos. Go to Pinterest, sign in to your account. Click Boards to open the relevant page. Tap ‘+’ icon to create a new board. A box will open to enter the details of the new board. Enter the name of your choice. I named it as Blog Images & Screenshots. See the next option. 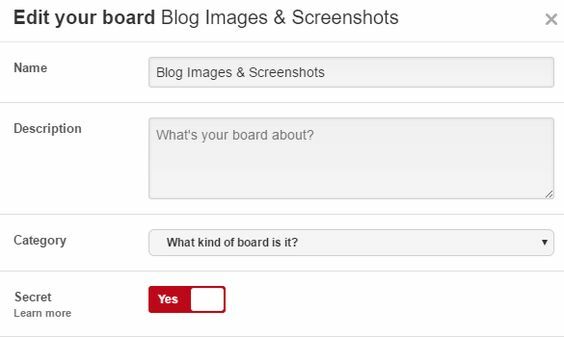 Pinterest wants to know whether it is a public or secret board. There is no need for availing your screenshots to the public. They will be accessible from your blog’s Pinterest board. So make it secret. Images from secret boards won’t show up anywhere on Pinterest including your Pins section. Only you and other board members can view and edit them. We should set the said board as secret on the grounds of traffic too. As a result of that, users can access your blog images just from the board of your blog where they are connected to the site as well. Otherwise, people may repin the images through the newly created board and you will lose the traffic. If you are running a multi-author blog or want to assign a person for uploading images, invite them to join the board. Open your board and you will get this kind of screen. Lock symbol indicates that it is a secret board and can be viewed by no one else other than the contributors. Tap the ‘+’ symbol to invite your friends and co-bloggers to join the board. You can invite friends on Pinterest, Facebook, Google+, Yahoo or by email. These joiners can upload, access and edit images anytime. Secret boards and pins won’t appear in your home feed. You can view such pins immediately after the upload by clicking on See it now button. Otherwise, go to Boards menu in your profile, scroll down to bottom until you see Secret boards section. Tap the board to view images on it. Right click on an image to copy its address and paste on your blog. 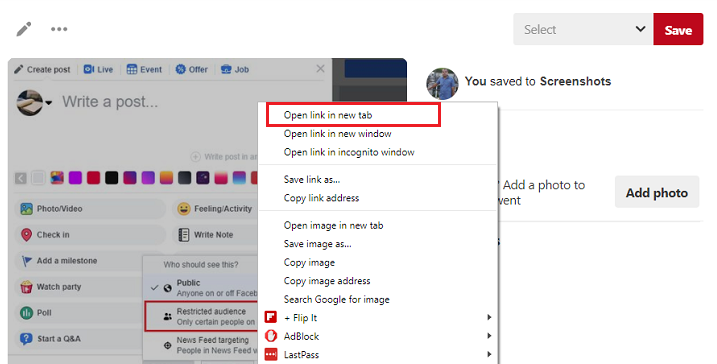 Choose ‘Open link in new tab’ option to view it in full size. The image will open in a new tab. Copy its full path from the address bar and paste on your blog post where you want to use it. Thus you can use Pinterest to host images for your blog. Being the owner, you can make a secret board public or vice versa from the board’s edit page. Mouse over to your secret board to show the edit option. Click to open the settings. Tap the Secret button to change its behavior. Save. Pinterest secret boards are ideal for storing your private photos too. As I said earlier, only board members can view the contents on it. How do you share your blog images? Do you have any other tricks to share which will be helpful for our readers to store such images?